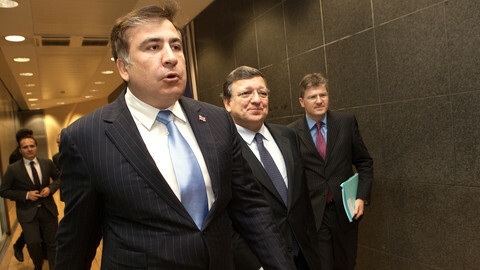 Georgia's billionaire-Prime-Minister, Bidzina Ivanishvili, has a "dream" for his country's future. But opponents say he is a danger to democracy. 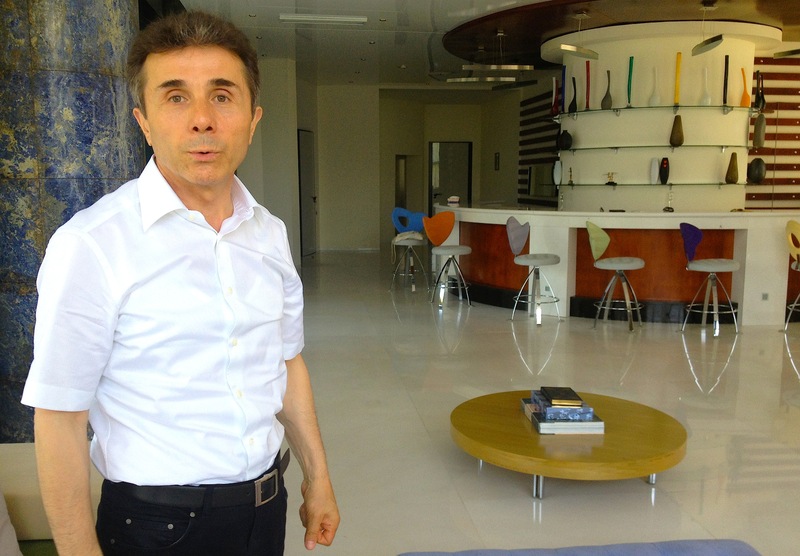 Ivanishvili spoke to EUobserver in a recent interview at his summer residence in Ureki, on the Black Sea coast. He said he wants to transform Georgia into a "typically European" society and into a Dubai-type business hub between Europe and Asia. "It's my dream. There is a possibility, if everything develops ideally. Of course, I don't want to say this too loudly in order not to be laughable. But deep down in my heart, I believe … the possibility exists," he noted. The soft-spoken, 57-year-old businessman made his fortune in metals and banking in 1990s Russia. He entered politics in 2011 and he unseated the centre-right UNM party of President Mikhail Saakashvili in a free election in 2012. He told this website it might take "20 years" to make his dream a reality. He also said he will step down as PM "before the new year" in order to work with NGOs to implement his master plan. The plan is to purge Georgia of high-level corruption, to build decent schools, hospitals and roads and to attract foreign investors and tourists. Since coming to power, Ivanishvili's prosecutors have indicted five UNM ex-ministers and scores of officials and local councillors on charges ranging from misuse of public funds to bribery and contract killings. The new PM has promised to destroy Saakashvili's "black boxes" - illegal wiretaps, secret videos and data gathered in a mass internet surveillance programme. He said the snooping operation is "reminiscent of George Orwell's '1984'," a British novel about totalitarianism. He added that Saakashvili himself might face trial when his presidential immunity expires in October. "Politically, it is not my desire … But the rule of law applies to everyone," he said. To maintain credibility, he has invited a crowd of foreign monitors, such as Thomas Hammerberg, a Swedish diplomat and Nobel laureate, to oversee his actions. He also threw the book at two of his own ministers who broke the law. In the economic sphere, he has created two sovereign funds and a private-sector investment fund, which he says will reach $10 billion by the end of the year. 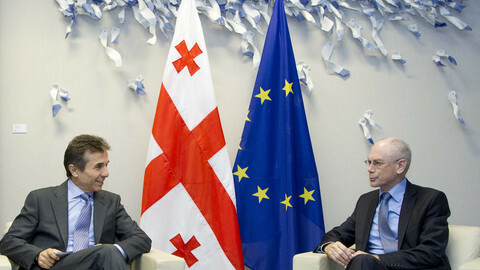 In international relations, he is on the way to initialing an association and free trade pact with the EU in November and he expects to see "a serious step forward" in Georgia-Nato integration in 2014. He has also improved ties with Russia. On the one hand, Russia is tightening its military grip on Georgia's breakaway regions of Abkhazia and South Ossetia. But on the other hand, it has lifted a trade ban on Georgian mineral water and wine. 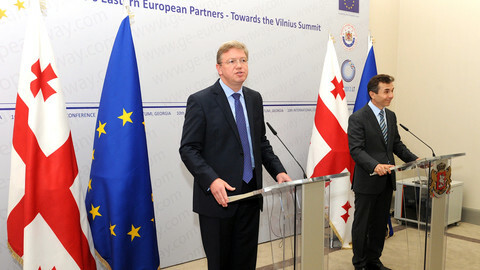 Ivanishvili said the more Georgia prospers, the greater the chance Abkhazians and South Ossetians will seek reunification. "To bring back our brothers, we need to convince them that it's in their interest to live with us," he noted. Referring to his personal contacts with the Russian elite, he said that "a talented and smart intelligentsia" is slowly changing Russia's "sickly" attitude to its former republics. But for its part, the UNM party believes Ivanishvili has a more sinister agenda. Giga Bokeria, a UNM leader and the outgoing head of Georgia's National Security Council, told EUobserver in Tbilisi that the prosecutions of ex-ministers is "selective justice … with the goal of destroying a major political party." He admitted the UNM in its nine years in charge made a "grave mistake" by giving too much power to security services. He described UNM-era incidents of police brutality, torture of prison inmates and the mass snooping operation as "shameful … disgusting." But he noted: "Tyrannies don't lose elections. They don't concede election results. It's an oxymoron, like hot snow." He added: "Overall, Georgia was moving toward a liberal democracy … It was a free country. But now I believe there is a real threat." 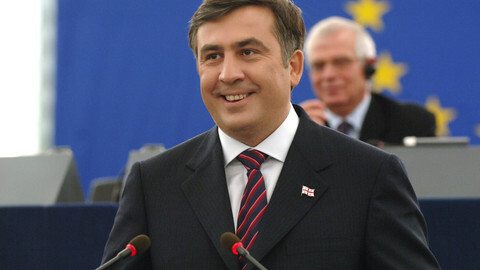 Bokeria accused Ivanishvili of planning to rule Georgia from behind the scenes after he steps down as PM. "He wants a puppet government and a balkanised political system, with many weak parties. This would make him invincible in his palace … This is the classic dream of a 1990s' oligarch," he said. He added: "A democracy where the legitimate players are weak and someone outside the system pulls the strings is not a real democracy." In Europe, the UNM's main ally, the EPP group of centre-right political parties, has also damned Ivanishvili for using courts for political revenge. Some EU diplomats remain agnostic, however. One EU contact, who asked not to be named, said that Saakashvili "monopolised power" and that Georgia now has "an opportunity to become a deep democracy." But he voiced doubt whether Ivanishvili is the right man for the job. "He is not the first big businessman who, in his mid-50s, wants to prove to himself that he can also do politics. He is learning fast, but he doesn't have the political experience. He doesn't know all the traps," the contact said. For Bokeria, Ivanishvili has already walked into one pitfall. He said the PM has given a free rein to populist and far-right elements in his coalition, who say liberal EU values are incompatible with Georgia's Russian Orthodox identity. He noted that "Orthodox fundamentalist" groups have "mushroomed" in the new political climate. He also said that Ivanishvili freed from jail dozens of far-right "thugs" whom he labelled as Saakashvili's "political prisoners." Bokeria, in his role as Georgia's top security advisor, said some of the same men almost beat to death a handful of pro-gay-rights protesters in Tbilisi in May, while Orthodox priests and the police looked on. Ivanishvili later wrote an op-ed for EUobserver promising to protect minorities. But Bokeria noted that the PM's domestic statements were "ambivalent" and that nobody faced justice for the assault. "If they continue tolerating these kinds of groups and praising these kinds of people as heroes, then our country will go to hell," he said. 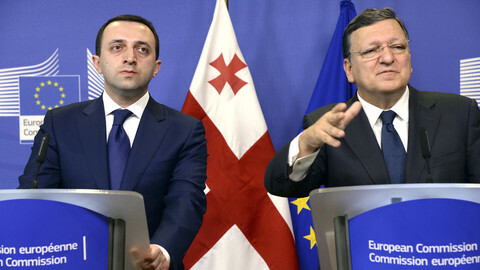 The EU has condemned the physical and sexual abuse of Georgian inmates which sparked mass protests in Tbilisi and several other cities.